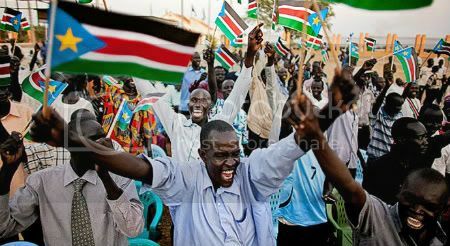 South Sudan is a new country (9 July 2011) after a split with north Sudan. South Sudan borders Ethiopia to the East, Kenya to the southeast, the Democratic Republic of the Congo and Uganda and the Central Republic of Africa to the west. Languages of both the Sudans are 142. Nine of these have no speakers. Of the 133 languages spoken in Sudan, and each language means an ethnic group, the powerful people of Sudan, from ministers to drivers were overwhelmingly from three ethnic groups from an area north of Khartoum. The Black Book. Not many Sudanese authors were publicised in languages other than Arabic. http://paanluelwel2011.wordpress.com/2011/07/21/paper-presented-by-prof-taban-lo-liyong-may-2008/ has had a wide and strong association not only with Sudan but with the whole region of Eastern Africa. "In collaboration with Henry Owuor-Anyumba and renowned Kenyan academic and writer Ngugi wa Thiong’o, he wrote On the Abolition of the English Department in 1968. Acknowledging the formidable influence of European literature over African writing, Liyong and his colleagues called for the educational system to emphasize the oral tradition (as a key traditional African form of learning), Swahili literature, as well as prose and poetry from African-American and Caribbean society". In 2006, Taban Lo Liyong wrote a long article on this essay, reminding the media in Kenya to highlight our cultural past. He reminded Philip Ochieng, a veteran columnist in the Kenyan media, to keep present to the national conscience what the cost of re-birthing the department of English at the University of Nairobi into the Department of Literature in English was.